“Chicken Fried Rice,” “Egg Fried Rice,” “Prawn Fried Rice” or “Mixed Fried Rice” is one of my favorite dish, which is very easily available in any Chinese Restaurants in Kolkata. One interesting thing about the previous line is, you will find that so many dishes are “one of my favorite” dish. Actually everything I post here is actually my favorites. 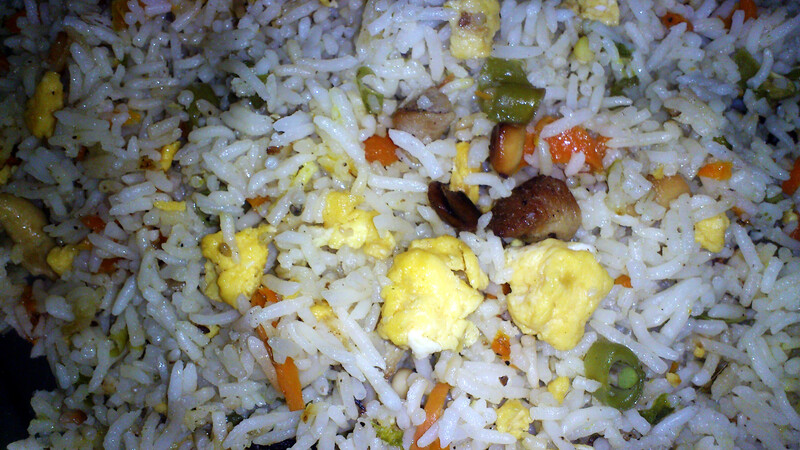 Chicken Fried Rice is Chinese style Fried Rice with small pieces of fried Chickens and variety of of other vegetables. Instead of Chicken, scrambled Eggs or pieces of Prawns can be used. 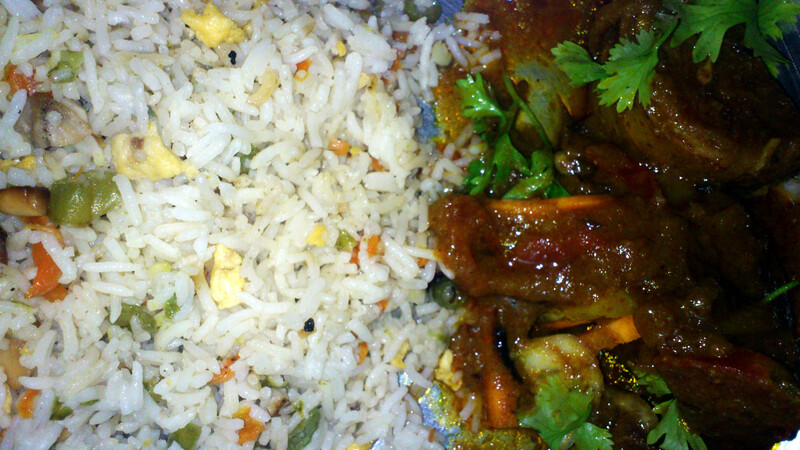 In this way different types of Fried Rice can be prepared. It is obvious that a Mixed Fried Rice will have all of them, right? That’s what I saw in many restaurants here at Kolkata. What my sweetheart tried is a combination of Chicken and Scrambled Eggs and a lots of Vegetables. It was successful. It was awesome. You don’t need any side dish (actually what I meant is that I don’t need any side dish) with this plateful. But still we have tried something that may sound like an odd combination. We had Alur Dum (or Dum Aloo) with it and the combination was perfect for me. The dinner was so perfect I was overloaded with foods. Thanks to my wife for the perfect food. Thanks to every little things that made the food so tasty. I do love “odd combinations.” I really do.